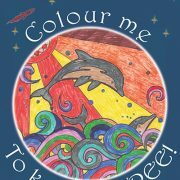 Dolphin Doodling – Colour me to set us Free! is a story/colouring in book with a serious message. 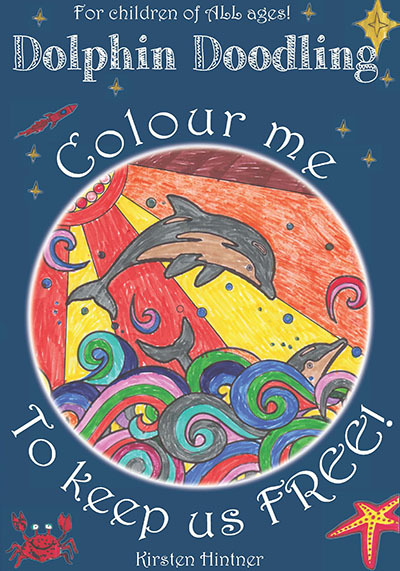 Dolphin Doodling – Colour me to keep us free! is a story is told through Lumpy’s eyes. He compares his wild and idyllic life to a very different one that some animals are subjected to – a life in captivity. Designed for children of all ages, the colouring in is perfect for younger children, and the story, told in a rhyming way, is good for all ages to absorb and understand. There are even postcards to colour in and send to friends to spread the message. Perfect for your little Eco Warrier! !